An accident in early 2018 at Four Mile Creek Road and Line 3 in Niagara-on-the-Lake spurred regional public works transportation staff to try and find out why so many accidents were occurring at the intersection. Traffic counts don’t warrant four-way stops at the intersection and it is a relatively plain two-way stop from Line 3 onto Creek Road. The Regions’ public works staff accelerated their processes after another accident in late April. This accident was followed by urgent requests for a four-way stop to be installed by Niagara-on-the-Lake Town Council. But in the Public Works Committee meeting at the Region on April 24, the Committee voted to defer the installation of a four-way stop for at least three weeks until more road engineering research and traffic analysis could be gathered. The deferral was led by Fort Erie Mayor Wayne Redekop who argued that once the signs were installed they would never turn back the clock and take them out. It was also led by Niagara Falls Councilor Bob Gale who argued that the four-way stop would just alter traffic patterns onto other roads and cause traffic problems elsewhere. 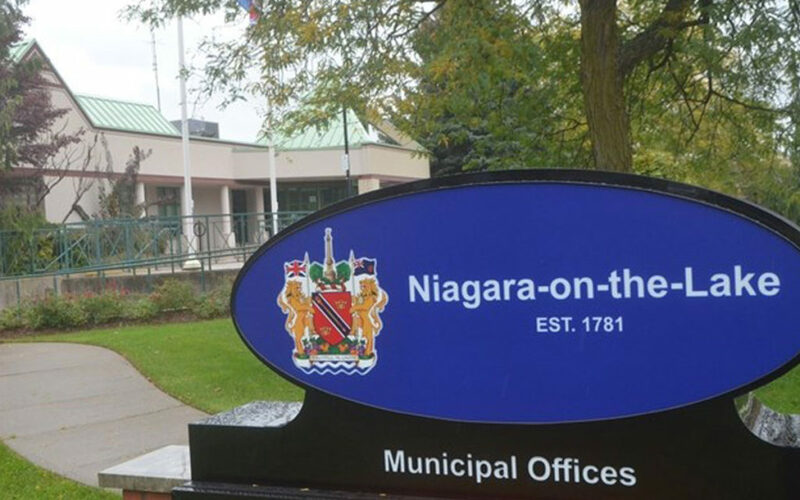 When the deferral motion came to Regional Council last Thursday night however, Niagara-on-the-Lake Town Councilor Paolo Miele made a pitch asking for Council to overturn the Public Works Committee deferral. Miele was convincing enough because the Region voted for immediate installation of the four-way stop. In his presentation Miele let Regional Council know that the request was unanimously supported by Niagara-on-the-Lake Town Council and that Inspector McCaffery from the NRP had emailed Miele that there were actually 28 accidents at the intersection in the last five years – which differed from the Public Works staff report of 14 accidents. Miele alluded to the universal confusion on why there is such a high frequency of accidents at the intersection, “it is a unique intersection and we don’t know exactly how the accidents are occurring but they are occurring,” said Mielie and with tourism season upon us we expect it will just get worse. The vote to put the four-way stop signs in immediately passed 21 to 3.